Boots is a great place to buy Christmas gifts from, with their 3 for 2 offers and variety of gift sets there is something for everyone, its where I buy a quite a few of my Christmas presents too. 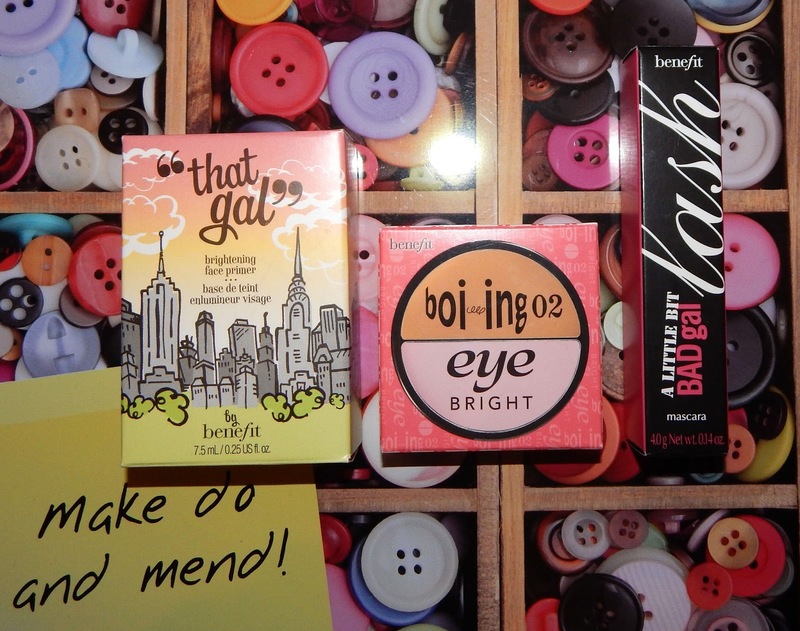 In the Manchester Arndale store I spotted a stand with Benefit Minis on it, this was near all the Christmas sets so it must be part of the Christmas range. On the stand there was little bowls, each filled with a makeup mini product, there was 10 items to choose from. The stand was advertising an offer of 4 mini products for £15.00. The makeup items was priced separately at £5.00 so you was getting an item free with the offer, as well as free Benefit stocking to put the items in. 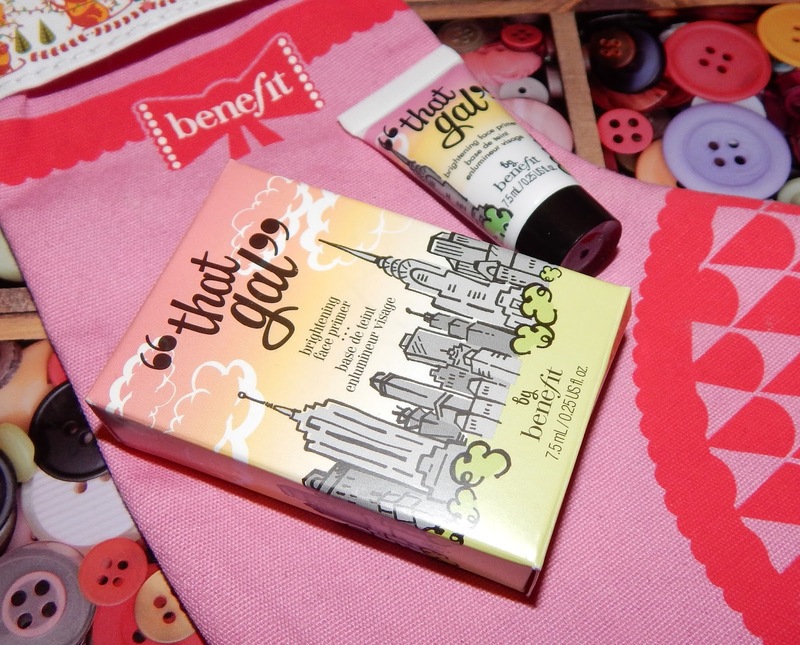 Getting mini products from Benefit give me the chance to try them out before splashing out for a full size product. I started to use Benefit products at the start of the year, after getting a sample size Roller Lash mascara free in a magazine. I've also been getting my eyebrows waxed at the Benefit brow bar in my local Debenhams (my local Boots doesn't have a Benefit counter), this costs me £12.50, which I understand is a little steep for a brow treatment but its the best my brows have looked and its only once every 4-5weeks. Defiantly worth the money! Anyway back to the Benefit minis, I picked 4 items from the selection; Bad Gal Lash mascara, Boi-ing/eye bright duo, "that gal" brightening face primer and Bad Gal waterproof liner. 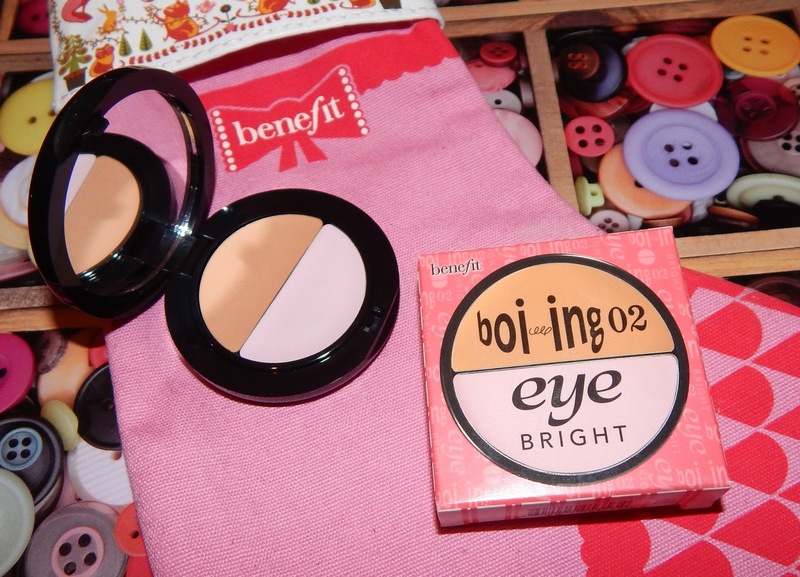 My favourite item is the Boi-ing/eye bright duo, this is the main reason for buying, I've been wanting to buy the Boi-ing concealer for a while now but not had the money too. The Benebabe who waxes my eyebrows always uses this product after my wax to cover the redness, it feels great when being worn. I'll now be able to use this product under my eyes and to cover any blemishes. It's also a great size to pop into my handbag and the compact has a little mirror inside so that's all you need. "That Gal" brightening face primer is another product I've been wanting to try, I currently use a Rimmel face primer under my foundation, which is working well at the minute however the formula is a bit too runny, I'd like primer that is more dense. I've tried this product out to see if this primer is more dense and it is, it blends in nicely with little effort and sits on the skin lightly. The packaging says this primer can be worn under foundation or on its own to smooth the look of the skin. I'll be trying it out all over my face at the weekend and wearing it under my foundation. Both the mascara and the liner are from the Bad Gal range which again I've never tried before, I'm pretty much in love with my Roller Lash mascara that I've not tried any new ones in a while now. The Bad Gal full size mascara is slightly cheaper than the Roller Lash so it may save me a couple of pound if this mascara is as good. 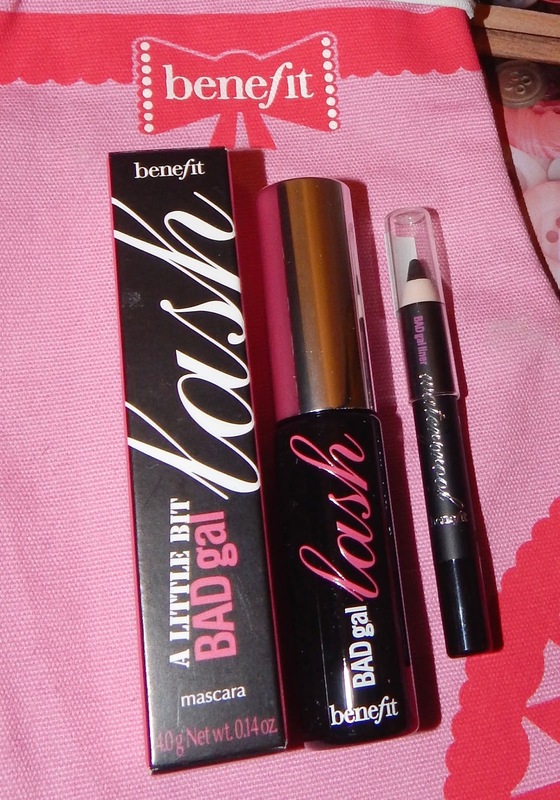 I'm hoping the liner works well with the mascara since there both Bad Gal products. I'll keep you updated on the products after I've used them. 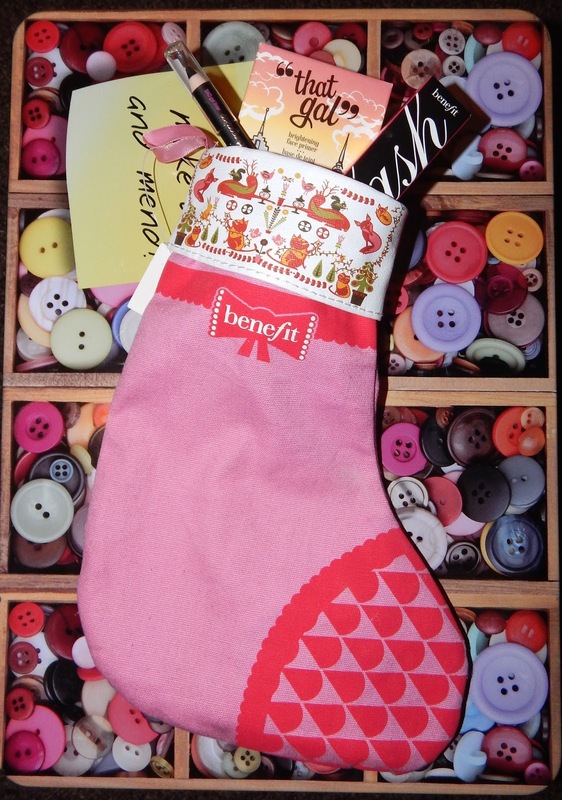 Lastly the little pink Benefit stocking that comes with in offer is as cute as buttons and since the offer is exclusive to Boots, I doubt you can buy the stocking anywhere else. It will be going up with my Christmas decorations in December. I'd also like the mention that the packaging of these products is amazing, even though they are minis, Benefit haven't let the usual style/design of the packaging go a miss. 3 out of 4 of my products was in a box, making the makeup feel and look more impressive, these are high-end minis! Here are links to all the products on the Benefit mini stand, you can take advantage of the offer online too... Boots webpage link. 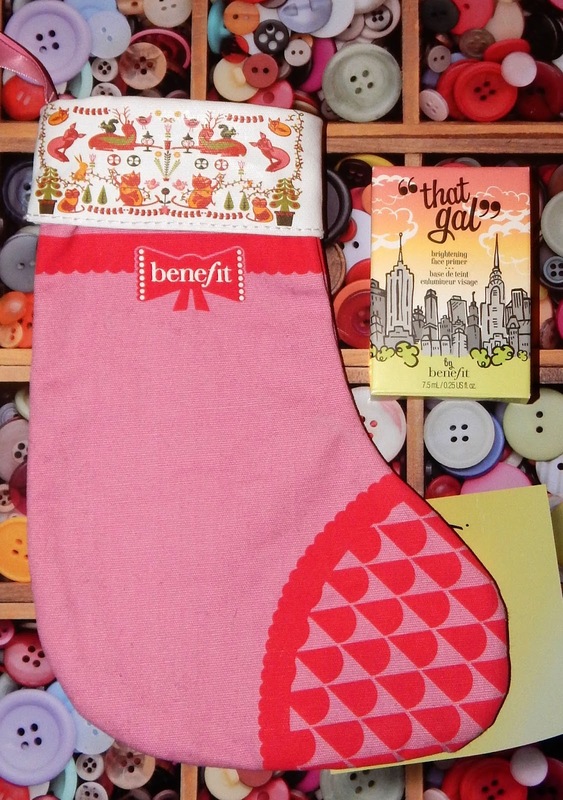 Let me know what minis you pick up in the comments, also where are you going to hang your Benefit stocking??? Need to get my hands on this!! !